The EZ Prober (pronounced "easy" prober) is a unique solution for the probing and testing of surface-mount components. 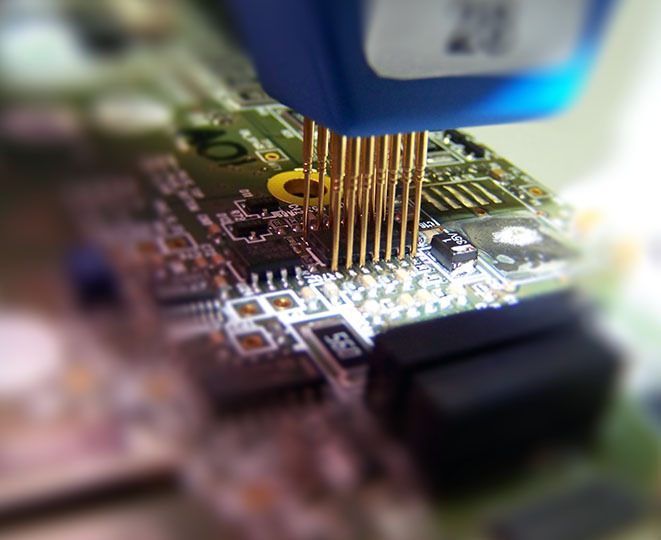 Due to the small nature of these devices (for instance with a 1.27mm pitch for SOIC packages), it is often difficult to ensure good contact with the component's pins to guarantee a valid result. The EZ Prober uses precision probes with a light spring load to make the probing as comfortable and stable as possible. Assembled in a stylish and ergonomic case, the EZ Prober is a complete solution that can be used with ABI's range of component tester or with your own tester (eg oscilloscope). With ABI's range of equipment (see SYSTEM 8 and CircuitMaster 4000M), the EZ Prober can be used in conjunction with a footswitch. This allows users to keep both hands completely free to concentrate on the probing or to make notes and adjustments. The test is then run automatically with one foot tap. 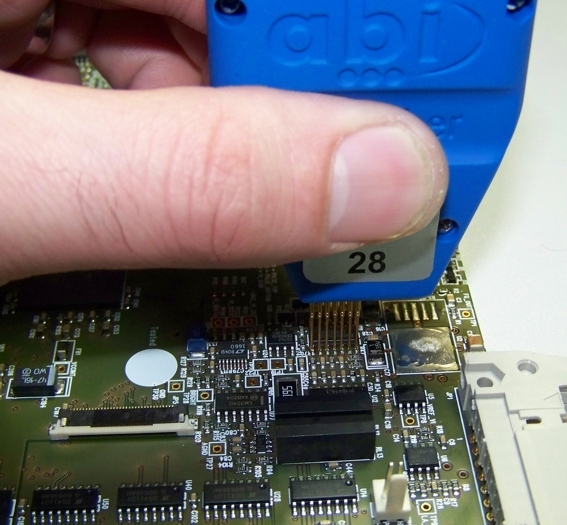 As standard, ABI Electronics offers a range of EZ Probers for SOIC packages and with various gauges. The gauge is the distance between two pins on either side of the package. The number of pins on the EZ Prober can also vary from 2 to 28. However, the EZ Prober can be customised to suit specific or special devices with different pitches and gauges. Please contact us to discuss your requirements. Note: As standard, the probing of surface mount components is achieved on the flat edge of the pin (the one soldered to the pad) as described in the picture below. 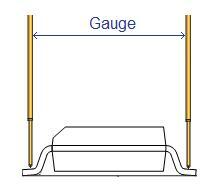 Due to slight variations in size between manufacturers, the gauge may vary and it is recommended to check the components to be probed. It is also possible, depending on customer preferences, to probe in different configurations using the knee of the pin instead (the edge closest to the package). The EZ Prober can be customised to suit your applications by changing the number of probes and/or the gauge. Some examples are given below but this list is not exhaustive - please contact us for more details.